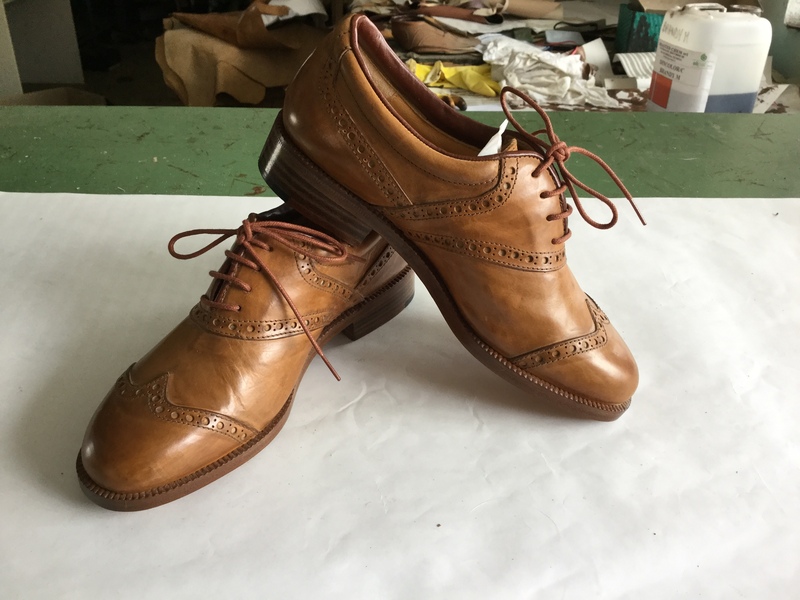 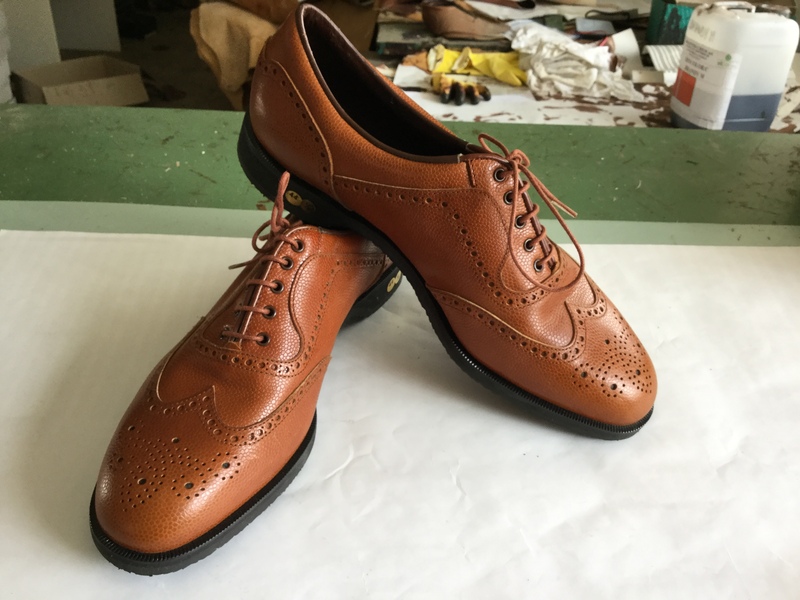 A beautiful pair of brand new Classic shoes returned because of size. 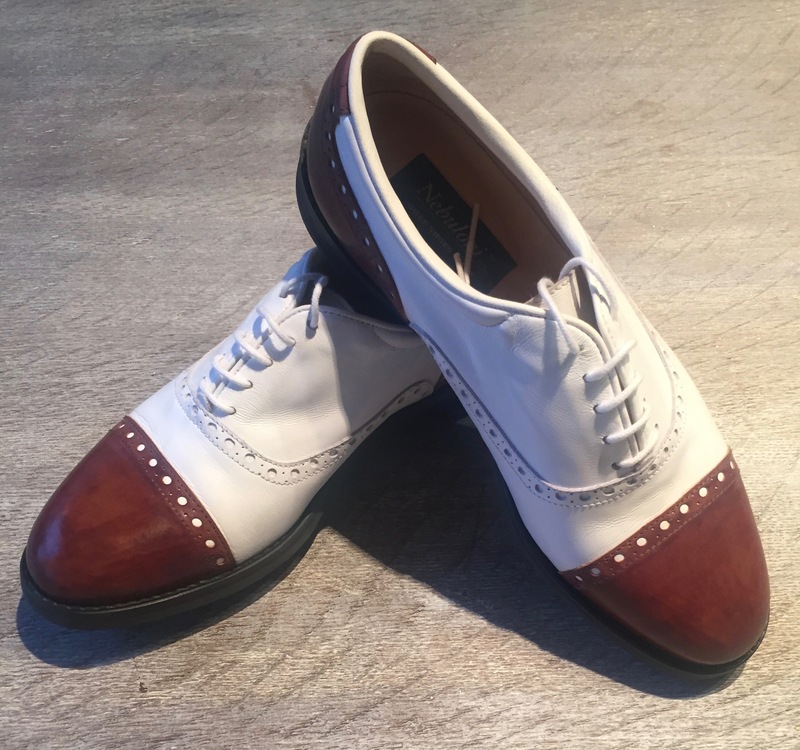 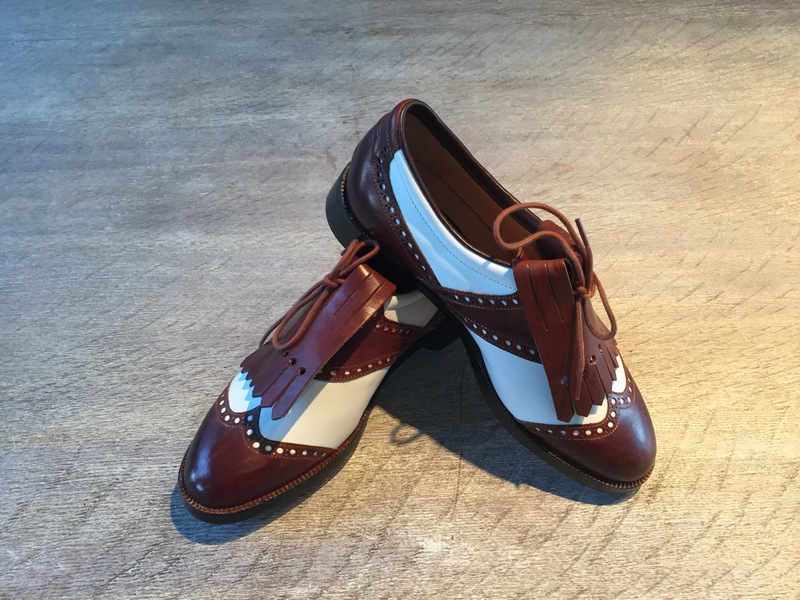 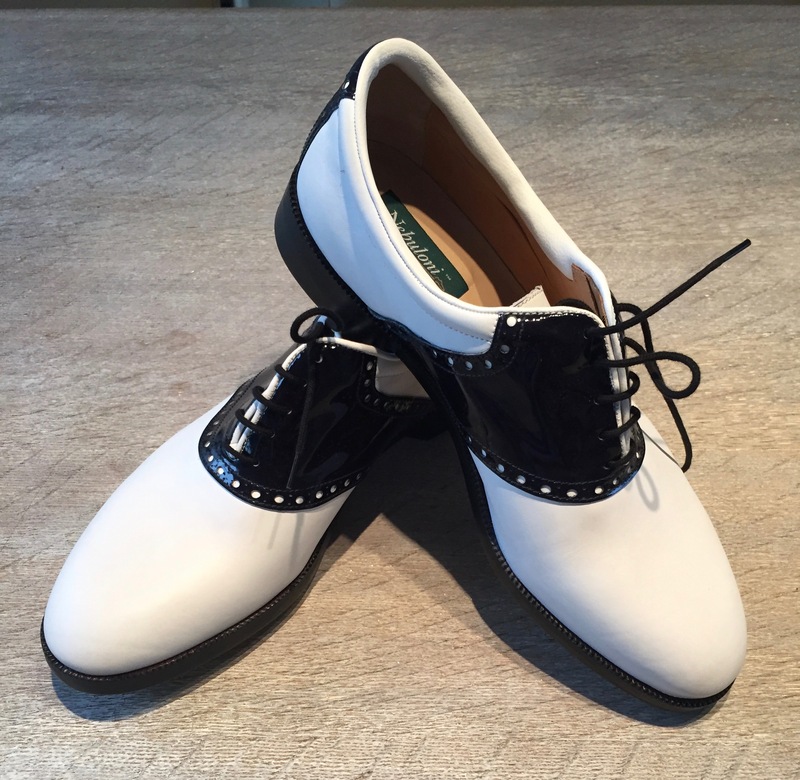 This model is for a lady and is made in Luxor brandy and calf white with leather spike soles and on special offer to clear. 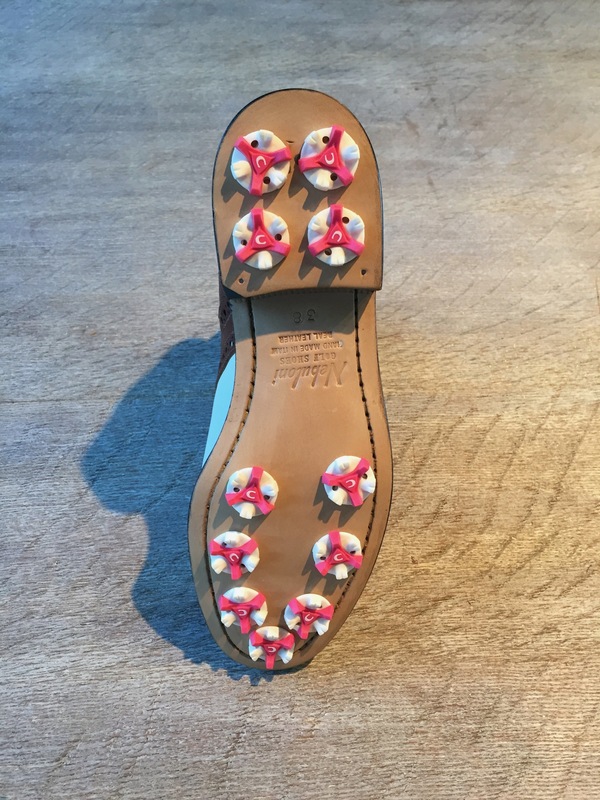 There is a small mark on the calf white part of the left shoe just underneath the kiltie.